Apologies in advance for the wordiness of this post. You see, I had initially planned to make this blog post picture heavy, with very few words. However, I later learnt that there are many stories which pictures cannot tell, and many memories which would be wasted if left untold. Therefore, I decided to write these stories down, and document these memories through words. Only then, would I be able to truly ‘capture’ the story of street food in this area in all its glory. Since I first visited this Xiao Qu (Yuan Zhu Xiao Qu/ 源竹小区) with my family friend, who will feature in the majority of my post later on, I have returned every morning to get breakfast here. 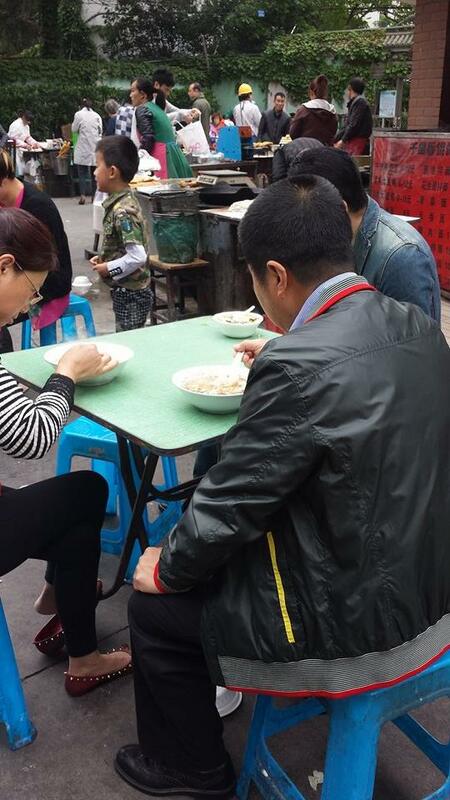 There is something very home-y about having breakfast in a xiao qu, or loosely translated: a small community. There is also something very special about coming to a stall and having the vendor know exactly what you want, without having to say a word. Perhaps it is because this is the China I had always envisioned, or perhaps it is because I am currently suffering from acute home-sickness. Either way, I feel myself drawn towards this area every morning, to the point where I would go out of my way to buy food and then come back to the dorms. My daily visits to this street food area has allowed me to make many observations and encounters. I have personally been kicked out by the Cheng guan, watched vendors turn what was once a bustling outdoor restaurant (seats, tables and all) into just objects on the back of a tricycle, listened to conversations and met many new people. The Cheng guan is coming! I have noticed that the location of vendors seems to mimic the interrelationships between them. 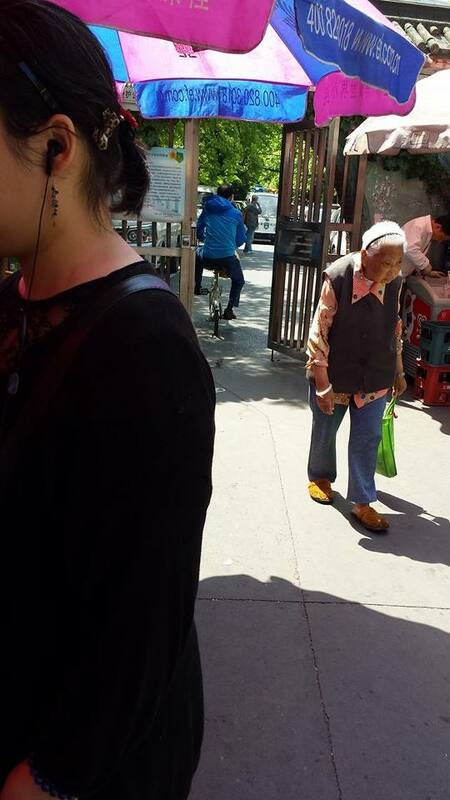 After walking through the gate from the xiao qu, you will see the street vendors on the left or the right side of the pavement. 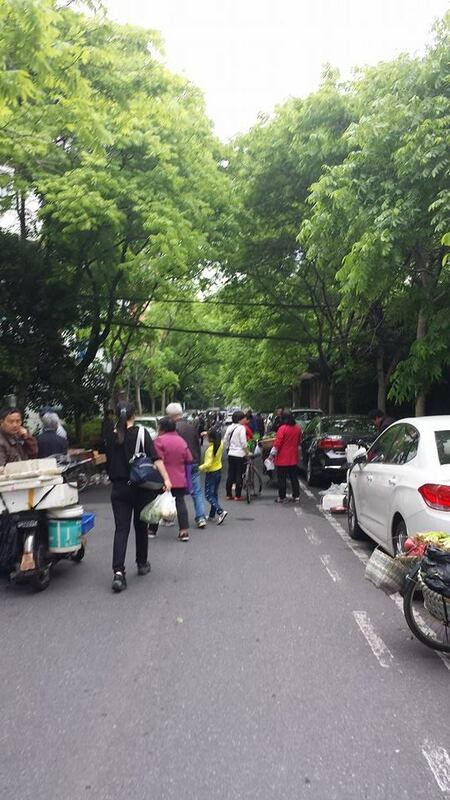 The street vendors on the left all belong to one Shanxi family. They sell a variety of different foods from bean curd to soymilk to various different pancakes to Shen jian bao to Zhongzi and more. 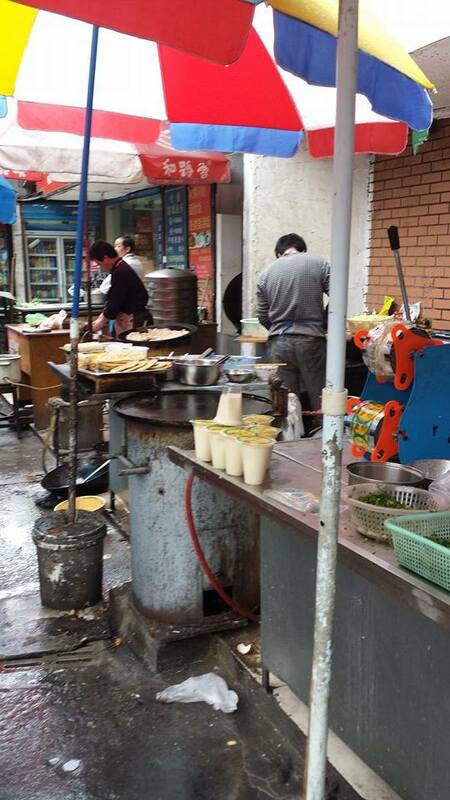 On the other side, you have a variety of different vendors who sell many of the same things as the Shanxi family. You have vendors from Shanghai, Shandong and Jiangsu. These vendors all seem to know each other, and would buy off each other to improve their own food. 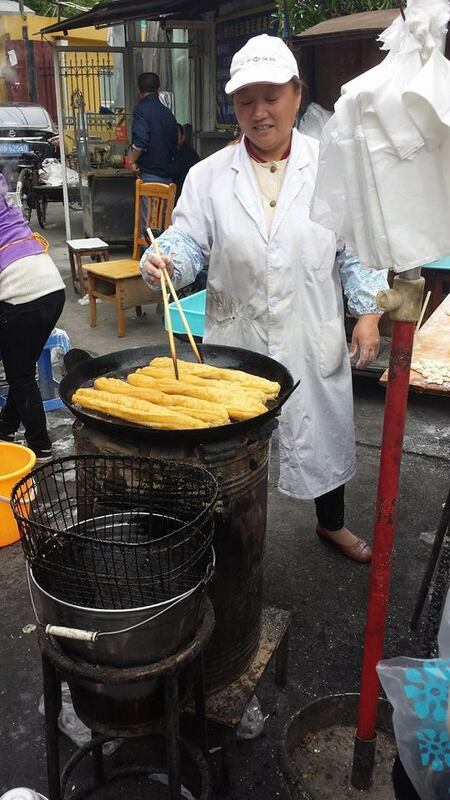 For example, the Jiangsu vendor makes Youtiao which the Shandong JianBing lady would buy to put in her jianbing. I often see them helping each other out or chatting with one another. 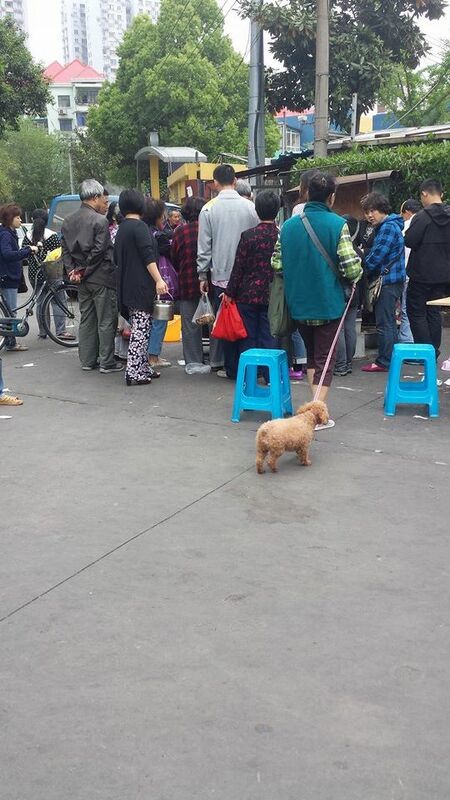 However, I never see any interaction between vendors on the right side of the pavement and the Shanxi vendors. There seems to be some cold, hostile, passive-aggressive competition between the two sides. In the image below, we can see this divide. 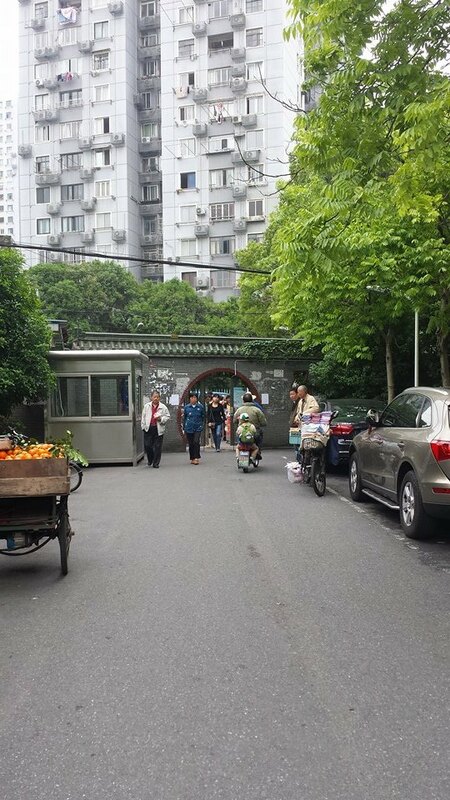 From this particular view (opposite the main gate), the Shanxi vendors are located on the right side of the image, whereas the other vendors are all on the left. In terms of price, most items cost between 1-4 yuan. I have yet to encounter anything above 4yuan. For breakfast, I usually get a soymilk and jianbing for breakfast, which comes to a total of 5 kuai. Sometimes I have bean curd and Youtiao, which costs me a total of 4kuai. Everything is also very clean here. 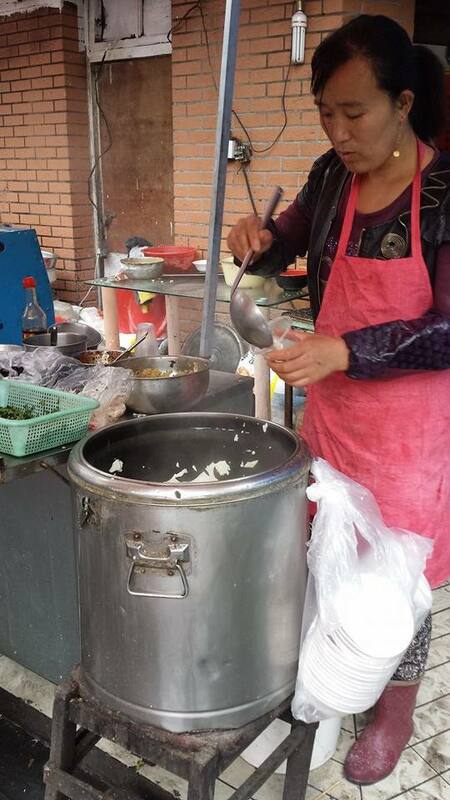 My jianbing lady refuses to touch money and lets us handle the cash ourselves. She also cleans the hotplates frequently. The vendors all start preparing to leave at around 9:50am. Anyone who is not out before 10:30am gets fined and warned by the Cheng guan. Unfortunately as I have learned, this place only has streetfood in the morning. I have stumbled here at night a few times and have never been lucky. After 10:30am, this place goes back to simply being a residential living area where you need to be a resident to enter. 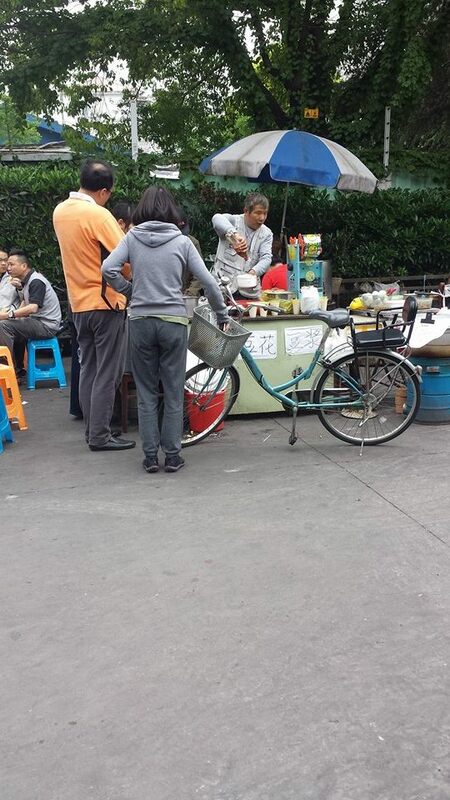 “The story of the street food in this area has to start with the story of life in this part of Pudong. 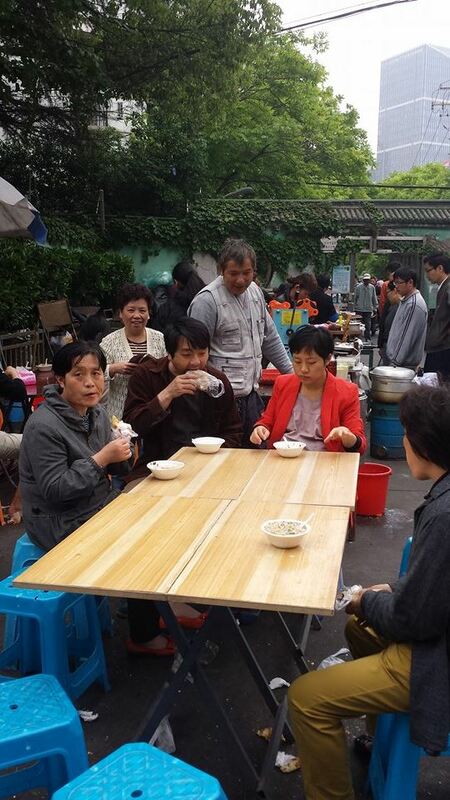 In the early 90s, after Deng’s reforms, many people took housing ballots and were moved from Puxi to Pudong. Back then, the equivalent of one tiny bedroom in Puxi, was the same as one large apartment in Pudong. Living in Pudong was very inconvenient. There were no roads，just man-made dirt tracks. The area around NYU Shanghai today was all farmland. There were no houses either. We were the first ones here to move into the first set of houses in the early/mid 90s. To get here from Puxi, we had to take a ferry; there were no tunnels or bridges at that time. Many people who moved here were forced to quit their jobs. Restaurant and shop owners refused to open up here, so the people living in this area had to come up with ways to make this inconvenient, unlivable place livable. That was when people started opening up stalls on the roads, all around the roads, to sell things like meat, seafood, vegetables, nuts, grains and fruit. The streetfood you are thinking about did not come until a bit later, but this all led up to it. As everything expanded, and Pudong started modernising, stalls were slowly moved out of the main roads and inside the ‘xiao qu’ area. Today, you can still see remnants of what that it must have been like back then. However, actual vegetable and meat markets have opened up in the xiao qu since then, so many grocers just sell there now. 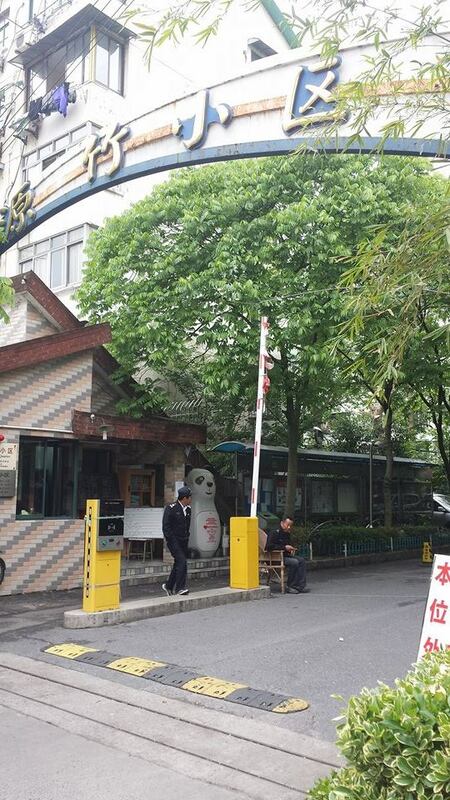 That way they will not get in trouble by the Chengguan. “I think there is a huge misconception that people like us grew up with the street food you see today, or that the sort of street food you see today has been a part of China for a long time. 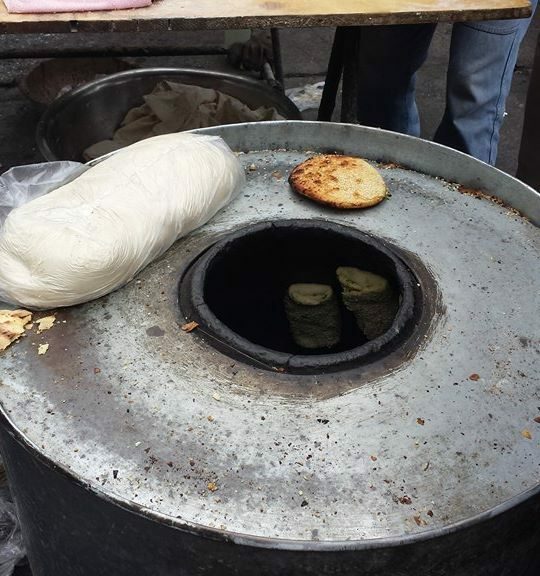 Actually, the street food you see today is very recent and new. I have lived in the heart of Puxi Shanghai for many years of my life, and I was here from the beginning days of Pudong. 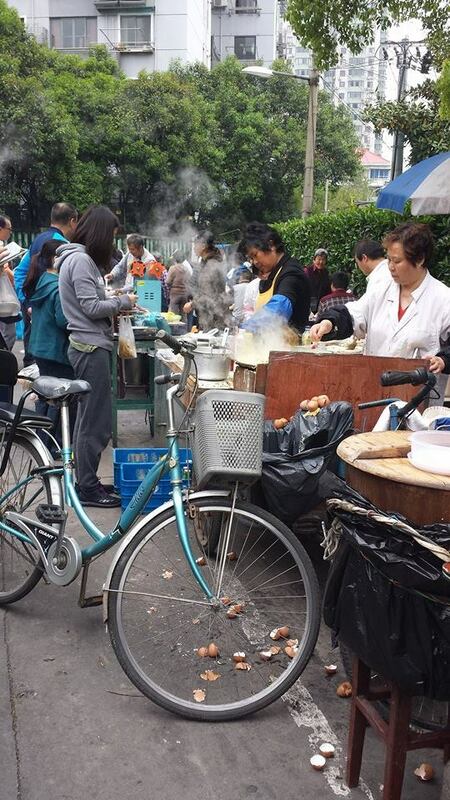 Street food was nonexistent and illegal before Deng’s reforms and during Mao’s reign, (which made up most of my early years) because no individual could own their own business. When I was younger, the food was provided by the government. Even farmers had to sell to the government, who would then distribute the food accordingly. However, the memory I do have of what one can describe as street food, is that it was very cheap and people never stayed in one spot selling it. I remember I used to be able to get one large riceball, one soy curd, two fried oil stick and one big xiaolong bao for 10 cents. I remember this so distinctly because my mother used to only give me 10 cents every morning to buy food. I would fill myself up in the morning and save whatever I didn’t eat to snack on throughout the day before having lunch and dinner at home. That all disappeared when Mao took position. People could not have private enterprises. Only in the 1980s and 1990s did people start being able to own their own small businesses again. 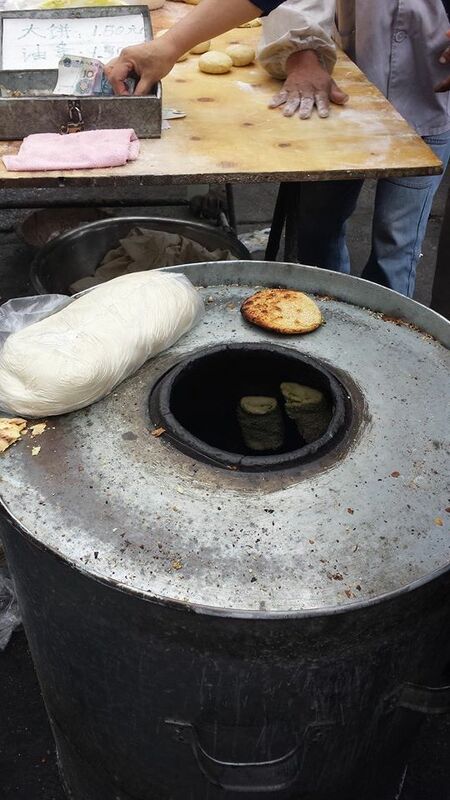 The street food you see today started appearing. It was very different when ‘streetfood returned’, it was done primarily by migrants. 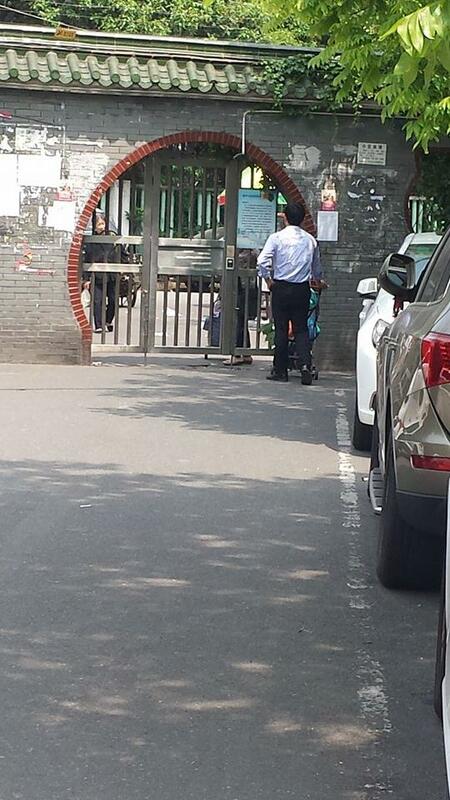 The hukou restrictions were much stricter back then, so we had few people doing it. 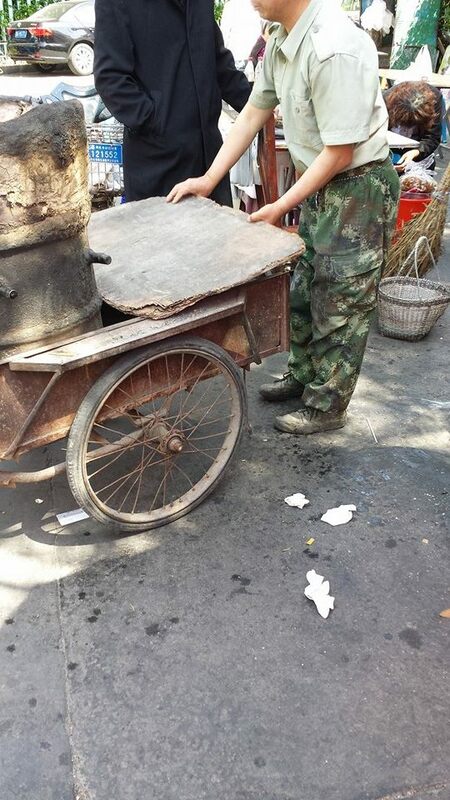 “The Shanxi vendors have been here from the very beginning. They have expanded their stall by a lot. It used to just be a single couple making bean curd. 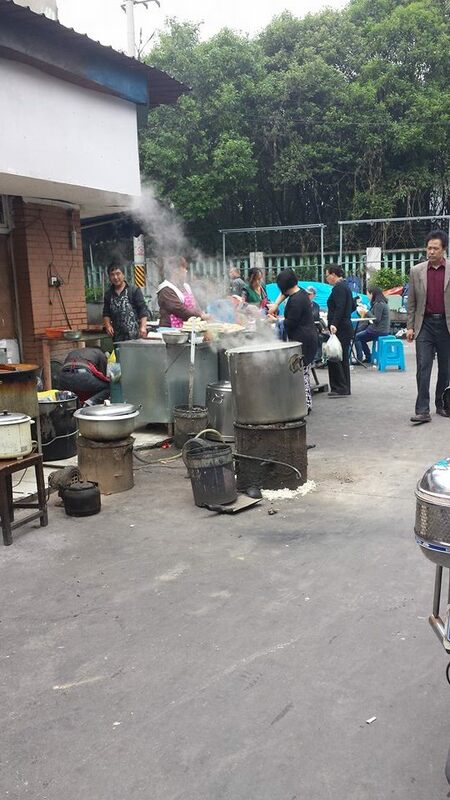 Now they have their brothers and sisters and aunts and uncles here as well, and make a variety of things such as fried dough, Shanxi pancakes and buns. I go to them because I have been going to them since they started. I feel loyal. I come here every morning to eat bean curd. They are very familiar with me, so they would ask about my home and I would ask about theirs. Every time I buy something, they would give me extra because they know me. I know that they have a 12 year old son at home with their parents. They want the son to go to school and get a good job. I think that is the same for many migrant street workers. They mostly come here with no education themselves. I sometimes feel like they come from a very pure and innocent background. I don’t think many of them know that a university degree is not enough to get a good job today. Many of them work extremely hard to send their child to university. Many become disappointed when they realise the reality, which is that their children will likely continue to do what they are doing, are enter an area of work similar to this. 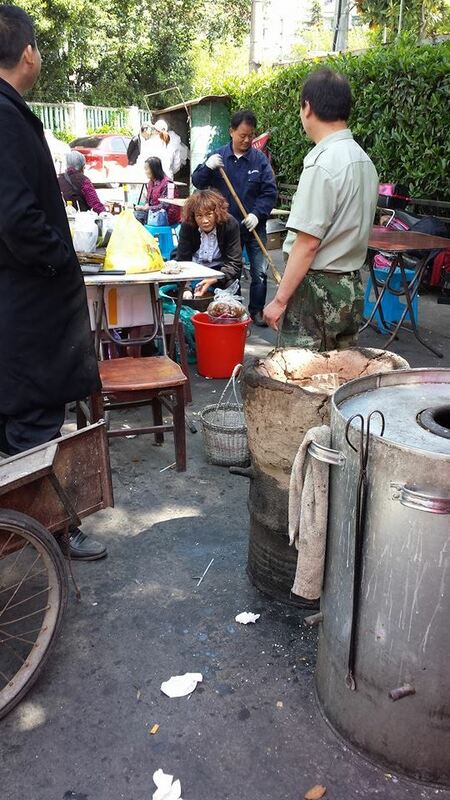 The following is an interview I held with one of the Shanxi Street vendors. 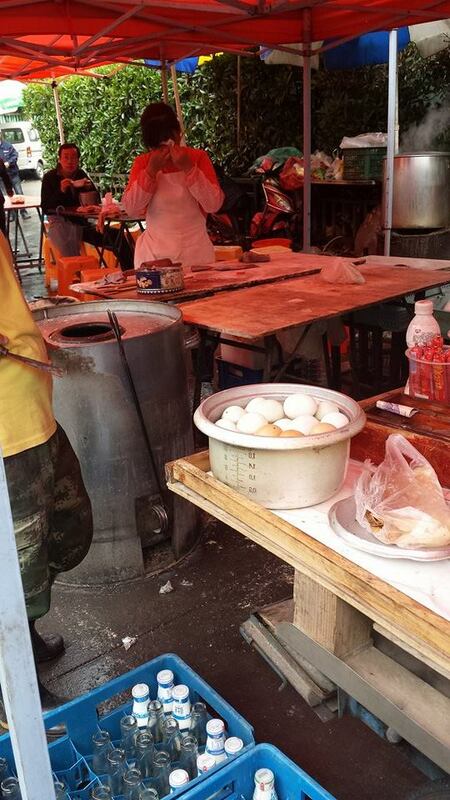 The woman who pioneered Streetfood in this area. “We work from 3 in the morning, 7 days a week, but we are not tired. We think our lives here are so much better than if we were to stay at home. We are grateful. At home, we would work longer hours, with much less pay, doing much harder work. Here, we stand and make food- it is easy. As a farmer, we had to bend up and down, move here and there, carry things twice our body-weight. Straight when we could, we moved the rest of my family, my brothers and sisters, to Shanghai to work in the street food industry. They see me as their saviour. The money we make here will sometimes be 5 times more than what we make at home. We use that money to buy property and send our children to school. We hope that our children can have all they need to obtain a good education, to go to university and then find a good job. That is the only way to break out of this farmer’s cycle. It is a never-ending cycle otherwise. Though we work in the city, we are still farmers. That is something we can’t change, but we hope our children can.